When assessing the true value of cancer drugs, collaboration with key stakeholders, reform of the development process and reimbursement system, and a true understanding of what is important to the patient must all be taken into account. As the cost of cancer medicines dominates value discussions, other aspects of value that matter to patients, such as the impact of treatments on the length and quality of life, are at risk of being ignored in decisions about treatment availability. If this bias continues, it will mean that doctors and patients have fewer therapies to choose from. Cancer innovation is a stepped process, with one step building on another to bring continuous improvements in care, which we like to call ‘continuous innovation’. For example, a therapy introduced today may not show its real potential until it has been studied further in scientific trials and clinical practice. If we break this chain, we eliminate the possibility – and potential. • Patient-centeredness – patients’ needs, experiences and voices count. • Not all cancers are the same; there are more than 200 different kinds of cancer. • Not all treatments are the same; they are increasingly tailored to specific tumours and patients, and some are based on histology and gene expression. • Not all patients are the same; cancer stage and prognosis, age, genetic makeup, concomitant disease, priorities, preferences and support systems are a few of the variables. There must be changes in procedures to permit: faster trial accrual; greater use of adaptive trials; conditional approvals; better electronic sharing of real-world patient data; and, in some cases, consideration of alternative trial endpoints as the basis for product registration. Insurance design favours reimbursement of hospital stays and other healthcare expenses compared with the cost of oncology drugs. This bias obscures the cost of other components of care, while creating the impression that medicines are a disproportionate cause of high cancer treatment expenses. The current reimbursement system effectively means that high initial prices are the best or only option to recoup investment in a product. Introducing pricing flexibility into the reimbursement system and enabling drug prices to rise and fall in response to new information about their demonstrated value would be a positive step. Above all, the patient must be at the centre of our discussions. Patients need to understand their options and be an active part of treatment decisions because, often, value is subjective. A patient with advanced disease, for which there are few or no treatment options, may appreciate the extra months spent with family and friends that a new treatment may bring. For another, side effects and quality of life may contribute more to the decision. The bottom line is that cancer medicines can deliver good clinical and economic value for patients, healthcare systems, economies, and societies. Our aim should be to ensure that oncologists and patients have a strong armament of therapies from which to choose. i International Agency for Research on Cancer (IARC). Globocan 2012: Estimated Cancer Incidence, Mortality and Prevalence. Available at http://globocan.iarc.fr/Pages/fact_sheets_cancer.aspx. Accessed September 1, 2014.
iii PhRMA Cancer Chart Pack. Cancer Medicines: Value in Context. Spring 2014. Page 5. Available at http://www.phrma.org/sites/default/files/pdf/cancer-chart-pack-5-22-14.pdf. Accessed August 13, 2014.
iv PhRMA Five Facts About The Value of Innovative Medicine. Available at http://www.phrma.org/catalyst/five-facts-about-the-value-of-innovative-cancer-medicines#ref2. Accessed August 13, 2014.
v Leukaemia and Lymphoma Society. Facts; Spring 2014. Available at https://www.lls.org/content/nationalcontent/resourcecenter/freeeducationmaterials/generalcancer/pdf/facts.pdf. Accessed August 13, 2014.
vi PhRMA Cancer Chart Pack. Cancer Medicines: Value in Context. Spring 2014. Available at http://www.phrma.org/sites/default/files/pdf/cancer-chart-pack-5-22-14.pdf. Accessed August 13, 2014.
vii Yin W et al. Value of Survival Gains in Chronic Myeloid Leukaemia. Am J Manag Care Nov 2012 (11 Suppl): S257-65. viii Cancer Research UK. How many different types of cancer are there? Available at http://www.cancerresearchuk.org/cancer-help/about-cancer/cancer-questions/how-many-different-types-of-cancer-are-there. Accessed September 2, 2014.
ix Luengo-Fernandez R et al. Economic burden of cancer across the European Union: a population-based cost analysis. Lancet Oncol 2013; 14: 1165–74. xi PhRMA. Cancer medicines: Value in Context. Cancer Chart Pack. Spring 2014.
xii C Stuart, J A et al. Assessing the Impact of Drug Use on Hospital Costs, Health Services Research 44, no. 1 (2009): 128–144. Available at http://www.ncbi.nlm.nih.gov/pmc/articles/PMC2669633/. Accessed August 22, 2014. Sue Mahony PhD is president of Lilly Oncology, senior vice president at Eli Lilly and a member of the company’s executive committee. She holds a BSc and a PhD from Aston University and a master’s degree in business administration from the London School of Business. Mahony joined Lilly in 2000 after more than a decade in sales and marketing roles in the UK and Europe in oncology/haematology and cardiovascular medicine for Schering-Plough, Amgen and Bristol-Myers Squibb. Since joining Lilly, Mahony has held roles in global marketing, product development, Six Sigma and general management. She was also a global brand development leader for duloxetine (Cymbalta) and fluoxetine (Prozac). She is a member of the Patient Access to Cancer care Excellence (PACE) Global Council, which brings together patient advocacy, medical, policy, scientific and healthcare industry leaders. PACE is a Lilly Oncology initiative that exists to encourage public policies and healthcare decisions that speed the development of new medicines, promote rapid learning from patient experiences, and ensure that cancer treatment and care respond to the needs and qualities of individual patients. 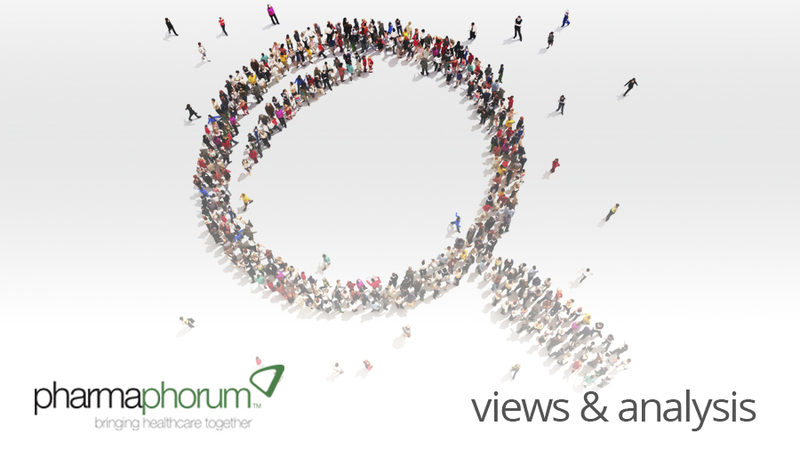 Have your say: To what extent are reimbursement reforms likely?